The National Hockey League will hold an expansion draft in order to incorporate the Vegas Golden Knights franchise into the league for the start of the 2017-2018 season. Vegas will “draft” one player from each of the 30 existing NHL clubs under specific guidelines set by the league. 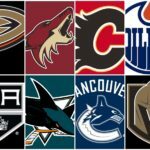 Each team will establish a Protection List of players (either 7-3-1: seven forwards, three defensemen and one goalie OR 8-1: eight skaters and one goalie) that are off limits and also must expose certain players with specific qualifications (again, under detailed guidelines set by the league). A full description and explanation of these rules can be found in the link below. The NHL recently released a new set of dates for the upcoming expansion draft process. You can find a complete list of key dates here, but below is a summary of the most important deadlines. Monday, June 12: Deadline for teams (not including NSH/PIT) to ask players to waive no-movement clauses (5:00pm EST). Thursday, June 15: First buyout period begins. Deadline for teams to ask players that agree to waive NMC if they want to be placed on waivers for the purpose of a pre-draft buyout (11:59am EST). Friday, June 16: Last day for teams to place players on waivers (12:00pm EST). Last day for players to waive NMC’s (5:00pm EST). Saturday, June 17: Trade/waiver freeze and signing moratorium on NHL SPC’s (standard player contracts) enacted for 30 existing NHL teams (3:00pm EST). Deadline for teams to submit Protection Lists (5:00pm EST). Sunday, June 18: Deadline for league to approve and distribute Protection Lists (10:00am EST). Opening of UFA/RFA interview period for Vegas to speak to all exposed free agents (10:00am EST). Wednesday, June 21: Deadline for Vegas to submit draft selections, including contracts given to FA’s (10:00am EST). Official announcement of Expansion Draft selections at NHL Awards (8:00pm EST). Thursday, June 22: Signing moratorium and trade/waiver freeze lifted (8:00am EST). 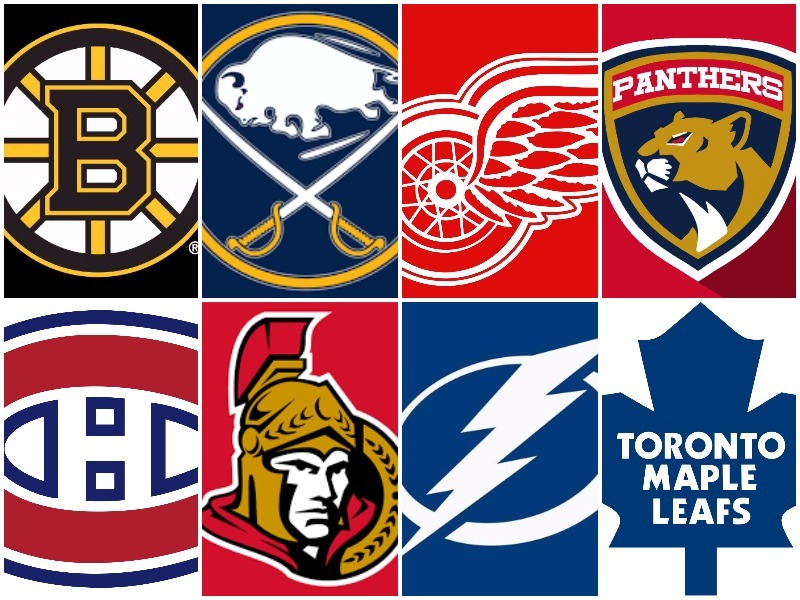 Taking the expansion draft rules into account, here is the Atlantic Division edition of the Vegas Expansion Draft series, which provides an overview of each of the 30 existing NHL teams’ strategy and options headed into the draft. The Boston Bruins have four players with no-movement clauses that must be protected. Those players are forwards David Krejci, Patrice Bergeron and David Backes and defenseman Zdeno Chara. Boston will use the 7-3-1 protection list format to protect four more forwards, two more defensemen and a goalie. Brad Marchand had an MVP-caliber season (though he wasn’t nominated for the Hart Trophy) with career-highs in goals (39), assists (46), points (85), power-play goals (9) and power-play points (24). He signed a massive eight-year, $49 million contract before the regular season after playing extremely well in the World Cup, and he did not disappoint this year. He definitely will be protected. David Pastrnak is another lock. He finished second on the team in scoring with 70 points and second in goals with 34. The 20-year-old Czech more than doubled his production from the last two seasons and will be rewarded handsomely at some point this offseason. From there, the B’s have two forward protection slots remaining. Though many could find this choice controversial, the Bruins will use one of those slots on Ryan Spooner. Spooner is a talented player who has been inconsistent and who had a disappointing year with only 11 goals and 39 points. That being said, he is a restricted free agent and still has a lot of value. Even if general manager Don Sweeney turns and trades him after the expansion draft, while he is on the roster he deserves to be protected. That leaves one final spot, with the decision coming down to two forwards: Matt Beleskey and Riley Nash. 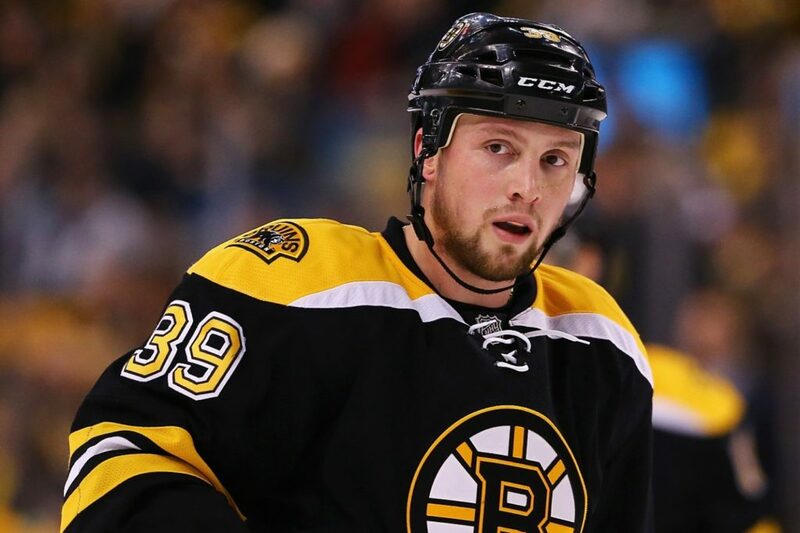 After a very strong 2014-2015 campaign with the Anaheim Ducks, Beleskey chose the Bruins as an unrestricted free agent and signed a five-year, $19 million contract in the offseason. That was a steep price, but it was the going rate for one of the better assets available in free agency. Beleskey’s time in Boston has not gone well, though. He has failed to be the impact player he was for Anaheim, and he had a miserable year this past season with only three goals and eight points in just 49 games. In some respects, Sweeney could be relieved to see his $3.8 million cap hit off the books courtesy of the Vegas Golden Knights, but Beleskey remains a valuable and versatile forward with the potential to have a bounce-back season. It is shocking, however, that Riley Nash is part of this discussion. But after the season and especially the playoffs he had, his name more than deserves to be in the running. Nash stepped up when David Krejci went down, and he was a true force for the Bruins down the stretch and in the postseason. He was brought in originally as a player to use for exposure purposes, but he very well could earn the final protection slot. He chipped in seven goals and 17 points for the Bruins this season, which is more than the combined output of Beleskey and Jimmy Hayes, who definitely will be exposed. Nash is a strong bottom-six forward who can move around the lineup; plus, his $900,000 cap hit is a lot more manageable than Beleskey’s $3.9 million. It could come down to whether or not Sweeney wants to get Beleskey’s contract off the books. If he exposes Beleskey, there’s a strong chance Vegas general manager George McPhee will take him; if he exposes Nash, however, it’s unlikely McPhee would choose him over trying to negotiate with UFA Drew Stafford or, more likely, taking McQuaid or another defenseman. In fact, McPhee very well could surprise some and take goalie prospect Malcolm Subban. The Subban name will sell tickets and get fans in the seats; though that’s not something Vegas has to worry about right now, it’s not something to be taken lightly. Subban happens to be one of the more talented goalie prospects around, especially of those available for the taking. He could be one of seven players selected in the draft that could be buried in the AHL for the time being, so he could make a lot of sense for McPhee and the Golden Knights. With respect to the final forward, though, Nash has the edge over Beleskey, at least for the time being. Again, Zdeno Chara has a no-movement clause and must be protected. Some would say Boston should ask Chara to waive his NMC, but that’s unlikely for three reasons. For one thing, he is the captain of the team and has been in Boston for 11 years. For another thing, he continues to eat up big minutes in the regular season and in the playoffs. But most importantly, Chara is a mentor to the young up-and-coming defensemen in the system. He played with Brandon Carlo for much of the year and then Charlie McAvoy towards the end of the season, so his veteran presence/leadership is more important than his age. The other lock on defense is Torey Krug, who is one of the better offensive defensemen in the NHL. He has three years remaining on his contract that carries a $5.25 million cap hit, and he set career-highs in assists (43), points (51) and power-play points (25) last season. Impressively, he did this while maintaining a 3.8 shooting percentage, the second worst of his NHL career. The final decision will come down to the Miller’s. Kevan Miller, 29, has three more years on a contract that carries a $2.5 million cap hit; Colin Miller, 24, has a cap hit of $1 million but will be a restricted free agent at the end of the 2017-2018 season. There are arguments to be made for both defensemen. However, Kevan proved this year that he is capable of being a top-four defenseman and handling a heavy defensive load. Colin is more offensively-inclined, but with some of the talent in the Bruins’ system, Kevan and his reasonable contract could prove to be more valuable in the end. Last but not least, Tuukka Rask will be protected in the draft. He had an up-and-down year but is still one of the best goalies in the NHL and is a crucial part of this Boston Bruins team and franchise. Malcolm Subban has a lot of value as a talented prospect, but he and Khudobin will be exposed. Sweeney could work something out to keep Subban in the system, but his main concern should be and is Rask. The Sabres could use either the 7-3-1 or 8-1 protection format, though that would depend on whether newly-named general manager Jason Botterill wants to protect UFA defenseman Dmitry Kulikov. Kulikov had a disappointing first season in Buffalo, but former general manager Tim Murray gave up a lot to acquire him. For that reason, it’s likely Buffalo will re-sign him. However, the team should elect to go with the 7-3-1 format to make sure to protect the maximum number of players possible. Both scenarios are outlined below. Kyle Okposo has a no-movement clause in his contract and therefore must be protected. He was admitted to the Neuro ICU after suffering an unknown illness toward the end of the season; though the organization remains tight-lipped about it, it is believed that Okposo will be healthy to join his teammates at training camp in the fall. Ryan O’Reilly certainly is a lock to be protected. He is one of the two best players on the team and has been spectacular after coming over from Colorado and signing a seven-year, $52 million deal. His $7.5 million cap hit is very high, but he has been worth every penny. O’Reilly has 115 points in 143 games as a Sabre and takes a lot of pressure off Jack Eichel, which is huge for this team. Beyond those two, Evander Kane will be protected. It’s possible the Sabres will look to trade him in the offseason or at the deadline, but he is a very valuable asset that must be protected for the expansion draft. He scored 28 goals this season, the most he has posted since he potted 30 in 2011-2012 as a Winnipeg Jet. 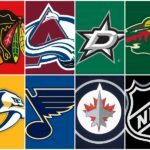 Kane has a negative reputation for some locker-room and off-ice issues but apparently had cleared things up with former general manager Tim Murray before he was fired. Botterill will make his own decision about the talented winger, but Kane will get a protection slot no matter what. He may not be a slam dunk for a protection slot, but Zemgus Girgensons will earn one nonetheless. His production has decreased over the past few years, and he has not come close to living up to expectations. That being said, he’s still a talented hockey player with skill and potential, not to mention value. There’s also a chance he will succeed in the new coach’s system after struggling under Dan Bylsma. For those reasons, he’ll get protected. After those three forwards, there is some debate. There are some unknowns with Buffalo, especially with a new general manager in town. However, there are a few forwards that could contribute to the team’s success more than others moving forward. One of those forwards is Matt Moulson. Many fans would like to see him leave because of his $5 million cap hit for the next two years. However, Moulson is a talented veteran forward who can move around the lineup. He saw an uptick in production this past year with 14 goals. Though he’s not the player he was with the New York Islanders, he’s still a valuable player with versatility and value. Tyler Ennis has spent his entire career as a Buffalo Sabre. However, it has gotten to the point where he cannot stay healthy and cannot be an effective player for this team. He has two years remaining on his contract, which carries a $4.6 million cap hit; this doesn’t do him any favors. Beyond that, he has played in just 51 and 23 games in the past two seasons, respectively, scoring a combined 24 points. He should be an automatic 30-45 point player, not a 10- or 15- point player. Though he’s a fan-favorite, Ennis very well could be exposed. The last two forwards that will get protected are both restricted free agents. The first is Marcus Foligno. He does not have the ability his brother (Nick) possesses, but he’s a valuable player to the Buffalo franchise. He’s physical, brings energy on every shift and has demonstrated that he has the ability to score goals. He registered a career-high 13 goals this season and, at times, found success in the team’s top-six. Foligno is just 25 years old and has room to grow. The other forward is Johan Larsson. When healthy, Larsson is productive for this Sabres team. The 24-year-old Swede played in only 36 games this season but managed 11 points, which is an improvement over the 17 he scored in 74 games the year before. 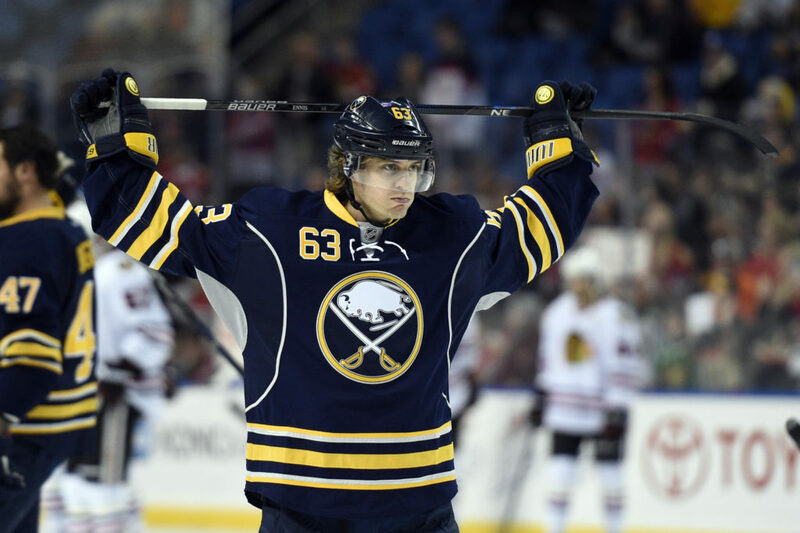 The easiest decision for the Sabres to make for the expansion draft is to protect defenseman Rasmus Ristolainen. Ristolainen is a franchise defenseman and signed an incredibly team-friendly six-year, $32.4 million contract, which carries just a $5.4 million cap hit. He is a definite. The next defenseman that will be protected without a doubt is Jake McCabe. McCabe has two years remaining on a deal that counts only $1.6 million against the cap. He scored 20 points, a career high, and is a crucial member of the Sabres’ defense. The third defenseman that will be protected is Zach Bogosian. Bogosian still has three years remaining on a deal that carries a $5.14 million cap hit. Unfortunately, Bogosian has struggled with injuries throughout his career, which has limited his production and takes away some of his value. That being said, he is a very talented two-way defenseman with offensive potential. If he can stay healthy, he could be a huge force for this Buffalo team. No matter what, he has significant value and therefore must be protected. As mentioned before, the Sabres could consider protecting pending UFA defenseman Dmitry Kulikov. But as long as he doesn’t sign with the Golden Knights, Buffalo can then sign him to an extension at any time after the draft. It doesn’t make sense to re-sign him before the draft unless the team is committed to protecting him and therefore using the 8-1 strategy. Otherwise, the Sabres can wait until after the expansion draft to work something out. It is more than worth it to bring him back and hope he has a bounce-back year. The Sabres will protect restricted free-agent netminder Robin Lehner. Lehner had his first chance to be a starting goalie this past year, and it’s clear there’s a lot of potential for him to become a solid netminder in this league. He finished the season with 23 wins, a 2.68 goals-against average and a solid .920 save percentage. The Detroit Red Wings missed the playoffs for the first time in a quarter of a century this year. That’s a testament to how dominant this franchise has been. The team is not what it was a few years ago, though. There are a lot of quality pieces in place, like Dylan Larkin and Anthony Mantha. But there are aging players and a few less-than-stellar contracts with which to contend. Red Wings general manager Ken Holland has already come forward and said that he will use the 7-3-1 protection list format for the expansion draft. He has indicated that he’s open to making trades prior to the draft. With that in mind, below is an overview of the likely approach the Red Wings will take for the expansion draft, assuming the roster stays the same. The Red Wings’ list of forwards that will receive protection is pretty straightforward. Frans Nielsen has a no-movement clause in his contract and therefore must be protected. Captain Henrik Zetterberg is a definite for protection as well, as is Anthony Mantha. Tomas Tatar is also a lock. Gustav Nyquist has been involved in trade rumors for a while now, and it’s still quite possible he could be moved before the expansion draft. He improved his value after scoring 30 points in his final 35 games of the regular season. The Swedish forward has a lot of talent and will generate interest; it’s just a matter of how much Holland will demand in return. If he remains on the roster prior to the June 17 protection list deadline, he will be protected. It’s important to note that many fans would prefer to see Tatar go rather than Nyquist; both have been linked to rumors for a long time, and either could be moved for a package deal. Justin Abdelkader had a down year, scoring just seven goals after recording 19 and 23 in the previous two seasons, respectively. That doesn’t change the fact that he is still a valued member of this team. His hard-nosed style is important for Detroit, and he has proven he’s more than capable of putting the puck in the net. He, too, will be protected. That leaves room for one more forward. Andreas Athanasiou, a restricted free agent, will occupy that slot. The 22-year-old had a breakout season with 18 goals. He has fantastic speed and is a threat almost every time he is on the ice. Athanasiou can move around the lineup and has provided a spark many times for this Detroit roster. 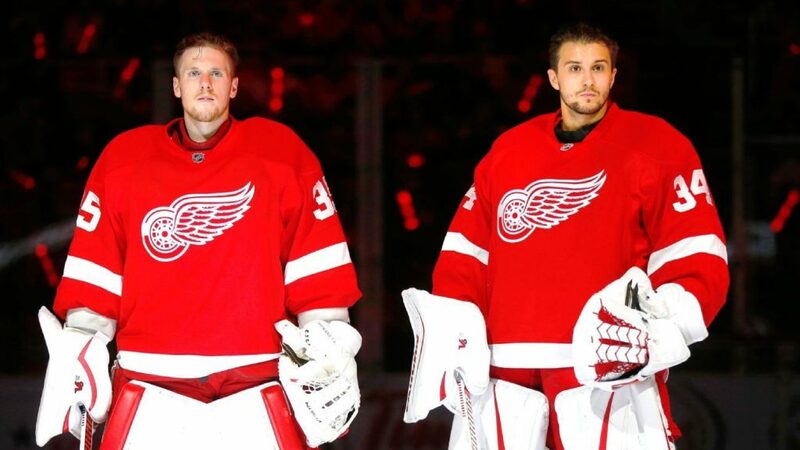 There is a small chance the team will use the final protection slot on Darren Helm. Holland signed him to a large and, frankly, ill-advised five-year, $19.25 million contract last offseason. It would be surprising for Holland to leave Athanasiou exposed, but Wings fans should prepare for this alternate scenario. Riley Sheahan and Luke Glendening will both fulfill the exposure requirements for Detroit. Sheahan went 79 games without a goal before scoring two in his final game of the year. He has one more year on his contract, which carries a $2.075 million cap hit. He could be a possible target for Vegas, however, given his age, size and defensive ability. Also, reports indicated that he generated plenty of interest around the trade deadline; Holland could move him for a better asset before the draft. Glendening has four more years on a deal that carries a $1.8 million cap hit. His production dipped this year as well. 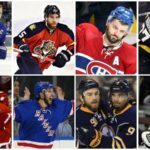 He’s a possible trade candidate considering he was one of Mike Babcock’s favorite players; Toronto could have interest, especially assuming the Leafs do not re-sign Brian Boyle (which is likely). Mike Green definitely will be protected. Danny DeKeyser is a lock as well. However, it’s unclear who the Wings will use the third slot on. It’s unlikely that Holland will protect veteran Niklas Kronwall. He has really shown his age in recent seasons and has two years remaining on a deal with a $4.75 million cap hit. Jonathan Ericsson also will be exposed given his age and contract (he has three more years with a $4.25 million cap hit). Detroit would benefit greatly for either to be chosen in the expansion draft, but that’s unlikely. Vegas won’t want them for the same reasons Detroit is exposing them. Realistically, that leaves Xavier Ouellet, Ryan Sproul and Nick Jensen. Of those three, Sproul is the least likely to be protected. That leaves Ouelett and Jensen. Either could be protected/exposed, truthfully. Oullet is younger but has around twice as much NHL experience as Jensen. For that reason, he gets the final slot. Unlike most teams, there is a lot of uncertainty surrounding what the Red Wings will do with regards to a goalie for the expansion draft. Jimmy Howard had a fantastic, albeit short, season last year, winning 10 games and finishing with a 2.10 goals-against average and .920 save percentage. Ironically, Petr Mrazek had by far the worst season of his career, putting together a very troubling campaign that included 18 wins, a 3.04 goals-against average and a .901 save percentage. The irony lies in the fact that Detroit made him the official starter last offseason, signing him to a two-year, $8 million contract. But Jared Coreau is eligible for the expansion draft as well. His statline is not pretty from last season, but he did play well at times and has played very well in the playoffs for the Wings’ AHL affiliate, the Grand Rapids Griffins. Holland will look to move one of Howard/Mrazek before the expansion draft. With Ben Bishop locked down in Dallas, there could be more interest in one of the Detroit netminders ahead of the draft and ahead of free agency. Coreau likely will be the backup next season. If neither is traded, Mrazek has the edge over Howard. Even though Howard’s numbers were great last year and Mrazek’s were pretty terrible, Mrazek is younger and has a more team-friendly contract. There’s a chance Holland could protect Coreau and expose both Mrazek and Howard, but the likely option is to protect Mrazek. The Florida Panthers are coming off a disappointing and surprising season that saw them finish 13th in the Eastern Conference, 14 points out of a playoff spot. The team has a very strong core that is signed for several years, giving the Panthers an advantage moving forward. Most of that core will remain together after the expansion draft, but the team will have to lose a talented player. As it stands now, it looks like that could be a defenseman. There are several players that will be protected no matter what. For example, Aleksander Barkov and his $5.9 million cap hit will be staying in Florida. Barkov is the best forward on the team and is not going anywhere. 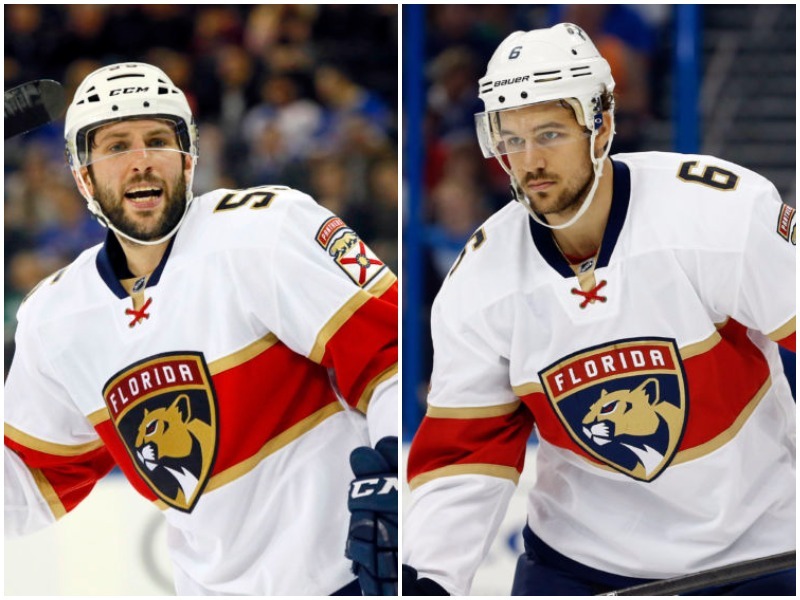 After Barkov, the other definite’s include Vincent Trocheck, Jonathan Huberdeau, Rielly Smith and Jonathan Marchessault. Trocheck, Huberdeau and Smith are signed through at least 2022, and Marchessault has one year remaining on his contract, which sets the cap back only $750,000. Those five players are the future of this offense. One name not included on that list, however, is Nick Bjugstad. Bjugstad signed a six-year, $24.6 million extension in December of 2014; that means there are still four more years on the deal, which carries a $4.1 million cap hit. Normally, one would view that as a steal of a deal given what Bjugstad is capable of. However, believe it or not, there are many in Florida who would like to see Bjugstad exposed. That is not going to happen, though. Even if Tom Rowe used Bjugstad sparingly, which could indicate he no longer sees him as part of the core moving forward, it would be foolish to expose him. Bjugstad is 24 years old and has three seasons in which he recorded at least 15 goals. This past year was by far his worst season, with only 14 points in 54 games. However, he’s too valuable and has too much potential to throw away. Even if he ends up on the block, Bjugstad will be protected. That leaves room for just one more forward on the protection list, and the decision should come down to Jussi Jokinen and Colton Sceviour. Jokinen had great success on a line with Trocheck and Smith, scoring 60 points in 2015-2016. However, he only managed 28 last season, and he is 34 years old with one year remaining on his contract. Sceviour, on the other hand, has played almost as well as Jokinen on the penalty kill, and his speed and hockey sense are strong for a fourth-line player. His cap hit is also less than a quarter of Jokinen’s, though both deals expire after next season. While a case could be made for either, Sceviour makes more sense for the Panthers. That being said, Jokinen as an asset is more valuable, which is why he likely will fill the final protection slot on the list. Keith Yandle’s contract, a seven-year, $44.45 million deal signed last summer, includes a no-trade clause, making him a must for protection. Another automatic is Aaron Ekblad, who is not only a stud defenseman but also the most valuable asset the Panthers have. That leaves one available slot on defense, which will be filled by Jason Demers, Alex Petrovic or Mark Pysyk. Pysyk is the least likely to be protected of the three, so the decision should come down to Demers and Petrovic. The Panthers have a problem as it stands now, though. After Ekblad, the only defenseman that fulfills the exposure requirement is Jason Demers. That means Florida would be unable to protect him unless the team re-signed a free-agent defenseman or acquired an eligible defenseman in a trade. But first, let’s take a look at the merits of each defenseman. Demers is signed for another four years on a reasonable deal with a cap hit of $4.5 million; that’s great value for a puck-moving defenseman. He’s a solid top-four guy, scored a career-high nine goals last season and, at 28 years old, is in the prime of his career. One issue with Demers, however, is that he reached a career high in shooting percentage as well (9.2 percent), which could mean an offensive regression next year. Also, while his offensive production was up, his defensive play often lacked an edge. Petrovic provides sound defense, a physical presence, solid puck movement and some skill. He was greatly missed on and off the ice last year when he went down with an injury. He is not someone the Panthers want to lose. Between the two, however, Demers has more value and likely warrants the protection slot. However, as mentioned before, Demers is the only defenseman that can fulfill the exposure requirement and therefore cannot be protected unless a signing or trade is made. If the Panthers can acquire or re-sign a defenseman to fulfill the exposure requirement, Demers can be part of the protection list. If not, Petrovic certainly will get the slot. Protecting Petrovic is not the wrong answer, as he has a lot of promise and already is an important part of this team. Florida would be wise to protect one and work something out with Vegas in order to retain the other. *Note*: For the time being, Petrovic is listed as the protected player below so that Demers can fulfill the exposure requirement. Like many of the Panthers, Roberto Luongo had a tough season last year. Part of that was due to injury, however, as he only started 39 games. But his numbers were not strong. In fact, his 2.68 goals-against average is the highest he has posted since the 2005-2006 season, and his .915 is his lowest save percentage since the lockout-shortened 2012-2013 season. Backup netminder James Reimer posted slightly better numbers. He finished the year with a 2.53 goals-against average and a .920 save percentage, as well as three shutouts (compared to Luongo’s one), after signing a five-year, $17 million contract last summer. Though Reimer is younger, has a better contract ($3.4 million cap hit compared to Luongo’s $4.53 million) and posted comparable numbers last year, in the end, Luongo likely will be the one protected. He is one of the faces of the franchise and is a proven no. 1 starter in this league. That’s something Reimer has thus far failed to do in his NHL career. Montreal’s expansion draft plans will likely involve the 7-3-1 protection list format. There could be some discussions between general manager Marc Bergevin and head coach Claude Julien as he gears up to be behind the bench for a full season. But there should not be many surprises in Montreal before the expansion draft (which can’t be said for the summer, however). The locks are Max Pacioretty, Brendan Gallagher and Alex Galchenyuk. Even though Galchenyuk has had his ups and downs in the Montreal organization, he has tremendous value and will be protected for sure. Things could improve significantly under Julien for a full season. Andrew Shaw is a virtual lock as well. He came over in a draft-day deal from Chicago and promptly signed a six-year, $23.4 million extension. The length was a surprise even though the former Blackhawk has two Cups and brings a nasty edge to his game. Shaw’s numbers didn’t wow anyone last year (12 goals, 29 points), but the 25-year-old brings a lot to Montreal and signed to stay long-term. That leaves three slots for forwards. The first will go to Phillip Danault, who had an impressive campaign in his first full year with the big club. Danault scored 13 goals and 40 points and finished the year as the team’s first-line center, playing between Pacioretty and Alexander Radulov. He has one year remaining on his contract with a $912,500 cap hit. The second will go to Paul Byron. Though he’s a small forward at 5-9, his speed and skill were valuable to the team last year and will continue to hold weight in the new speed-driven NHL. Byron scored 22 goals and 43 points in 81 games, shattering his old career-high numbers in multiple categories (goals, assists, points, plus/minus, shots, etc.). The one issue is that his shooting percentage was outrageously high (22.9 percent), which means he will come back down to earth next year. That being said, players that score 20+ goals must be protected, especially if one comes with a $1.16 million cap hit for the next two years. Tomas Plekanec has been with the Montreal organization since he was drafted in the third round of the 2001 NHL Entry Draft. He has been a leader and a point-producer for many seasons, but he could find himself on the outside looking in this summer. He has one year remaining at a cap hit of $6 million, and his production took a severe nose dive last season. He went from 54 points in 2015-2016 to just 28 last season. He will turn 35 on Oct. 31, which means his down year could be the start of the decline of his career. The Canadiens have to re-sign several players this offseason, including Alexander Radulov, who will expect a pay raise after shining in his $5 million “tryout” last season. 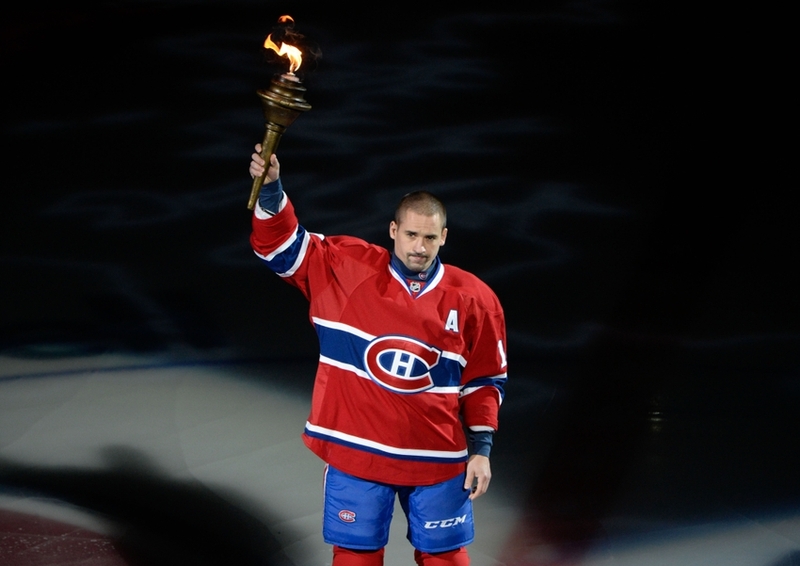 Even though he’s done a lot for this organization, Plekanec and his $6 million cap hit could be exposed. If Bergevin decides to risk parting ways with Plekanec, the remaining options aren’t too great: Torrey Mitchell, Daniel Carr, Chris Terry, Connor Crisp, Stefan Matteau, Brian Flynn, Dwight King, Jacob De La Rose, Alexander Radulov, Steve Ott, Bobby Farnham and Charles Hudon. Most of those can be eliminated with ease. That’s why Bergevin might consider re-signing Radulov before the expansion draft. He scored 18 goals and 54 points in his first NHL action since 2012 and was an emotional presence during the year and in the playoffs. There are two issues with re-signing him prior to the draft, though. One is that Radulov’s regular-season performance could have priced him out of Montreal’s price range. Secondly, it’s possible that Plekanec could be exposed but not taken. That could create cap issues for Bergevin moving forward. Montreal must protect defenseman Jeff Petry because of his no-movement clause. Shea Weber also is a definite, which should come as no surprise. Though Weber wasn’t a difference-maker in the postseason, he’s an elite defenseman and had a great season last year. The final spot will come down to Alexei Emelin, Brandon Davidson, Jordie Benn and Nathan Beaulieu. Even though he struggled at times last season, the slot likely belongs to Beaulieu, who scored career-highs in goals (4), assists (24), points (28), power-play points (12) and shots (118), among other things. He’s a former first-round pick (17th) and still has a lot of potential. The Canadiens will protect Carey Price, who has a no-movement clause in his contract. This would never be up for debate no matter what, though, even though Price had yet another poor performance in the postseason. The Ottawa Senators will have to make a few difficult decisions when constructing the team’s expansion draft protection list. The team will use the 7-3-1 format, but the slots for the seventh forward and third defenseman will be up for debate. The easy forwards to project are Bobby Ryan, Mike Hoffman, Derick Brassard, Kyle Turris and Mark Stone. Ryan had a down year but did enough in the playoffs to warrant an automatic protection slot. The next player who is almost guaranteed to be protected is Jean-Gabriel Pageau. Pageau has shown in the postseason just how valuable he is to this team. He provides the Sens with incredible depth, can play center and wing and is a solid all-around player who brings energy and effort on every shift. The final slot will be filled by one of the following forwards: Clarke MacArthur, Zack Smith, Alex Burrows and Ryan Dzingel. Clarke MacArthur’s $4.65 million cap hit is very steep, especially for a Sens team that will be up against the cap limit in a few years. Now that MacArthur has missed extended time for the second season in a row, though, it’s extremely unlikely he’ll get protected. Zack Smith had a great year with 16 goals and 32 points, and he was solid in the playoffs as well, scoring one goal and six points in 19 games. He signed his four-year, $13 million deal in January, so it’s clear management sees him in the team’s future. Burrows was brought in at the deadline and was promptly signed to a two-year, $5 million deal. What seemed to be a deadline rental turned into an immediate extension, which was surprising given the fact that Burrows is injury-prone and 36 years old. However, he was signed in order to fulfill the exposure requirement, so it’s clear he will not be protected. Dzingel had a strong regular season, scoring 14 goals and 32 points in his first full campaign in the NHL. However, he was not the same player in the playoffs. He had just three points in 15 games and was a healthy scratch on several occasions. With all of that taken into account, it seems pretty clear that Smith is the most likely choice for the final slot. That presents an issue for the Senators, though. The problem with Smith is that protecting him leaves only one forward eligible to fulfill the exposure requirement (Burrows). For that reason, Ottawa will need to re-sign a free agent or acquire another eligible forward in a trade before the expansion draft. Otherwise, it could be Dzingel earning the final slot by default. **Note**: For now, Dzingel is listed as the seventh protected forward on the projected protection list below. The Senators will need to make a move to use another forward to fulfill the exposure requirement in order to protect Smith. Since the team just finished a deep playoff run, however, nothing will get done for at least a few weeks. This is where the Senators come into real trouble. The team has one of the more underrated groups of top-four defensemen in the league in Erik Karlsson, Dion Phaneuf, Cody Ceci and Marc Methot. Obviously, Karlsson is the best player on the team and one of the best players in the league, but he skates with Methot on the team’s top pairing. Since Phaneuf has a no-movement clause and Ceci is sure to be protected, that leaves Methot exposed. 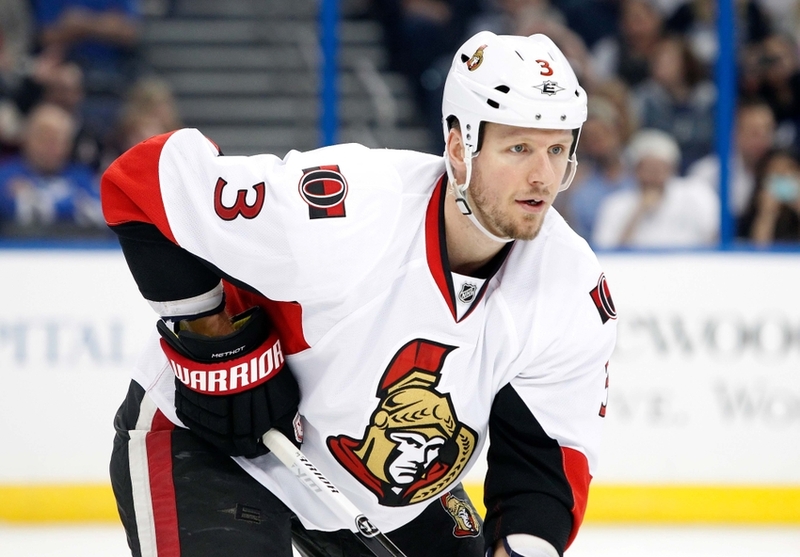 The 31-year-old defenseman has two more years on a deal that carries a $4.9 million cap hit. He is a warrior for this team, recently losing part of his finger to a Sidney Crosby slash but returning ahead of schedule. The Sens do not want to lose him. There have been rumblings out of Ottawa that general manager Pierre Dorion may ask Phaneuf to waive his NMC, as Vegas is unlikely to consider Phaneuf’s $7 million cap hit. If that ends up happening, Ottawa can use the third protection slot on Methot. Assuming Phaneuf is not asked to waive his NMC or refuses to do so, Dorion should try to work something out with Vegas to leave Methot alone. Whatever happens, though, the Sens are going to be in serious cap trouble down the road. The goalie situation is pretty straightforward in Ottawa. Craig Anderson missed two stretches of time during the regular season for personal reasons, and Mike Condon filled in nicely. That being said, Anderson had an exceptional season. He finished the year 25-11-4 with a 2.28 goals-against average, a .926 save percentage and five shutouts. He will be protected. Tampa Bay Lightning general manager Steve Yzerman may have to make a trade before the expansion draft. As it stands now, the team has eight forwards to protect but only seven protection slots to use. Any of the eight players would be taken by Vegas, which might necessitate a trade to protect the team from losing such a valuable asset for nothing. With that being said, here’s an overview of Tampa Bay’s 7-3-1 protection strategy heading into the expansion draft. Steven Stamkos and Ryan Callahan have no-movement clauses and therefore must be protected. 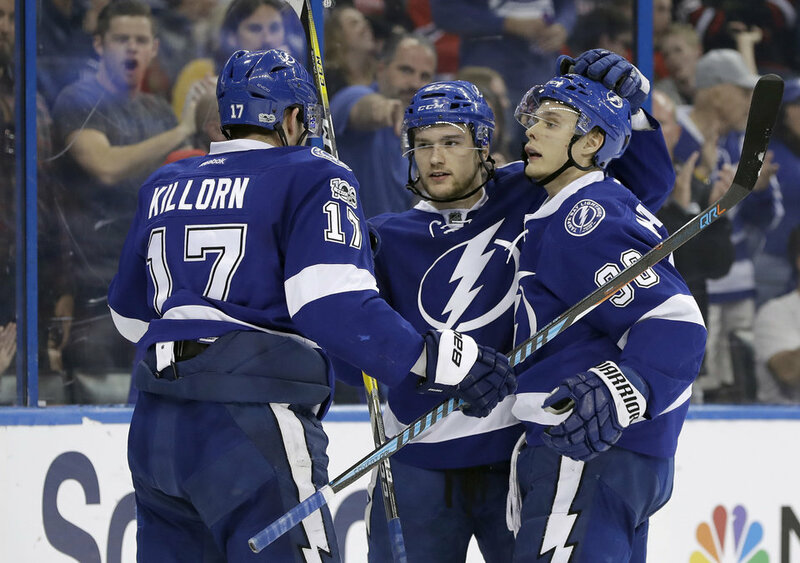 From there, Nikita Kucherov, Ondrej Palat and Tyler Johnson are definite’s. That leaves two spots with three forwards from which to choose: Alex Killorn, Vladislav Namestnikov and Jonathan Drouin. One possible scenario is that Yzerman finally pulls the trigger on a deal involving Drouin. Drouin has been the subject of trade speculation going back to last year when he refused to report to Tampa’s AHL affiliate and demanded a trade. Obviously, that situation was dealt with, as Drouin was a big part of the Lightning this past year. He has the most value of the three forwards (by far) and therefore would garner the most interest and fetch the best return. But if he’s willing to take a bridge deal, he could help this team take things to the next level in the next few years. If he’s not traded, he definitely will be protected. That means it will come down to Killorn and Namestnikov. There are advantages to protecting/exposing each. Killorn has six years remaining on a seven-year, $31.15 million deal, which carries a $4.45 million cap hit. He had a disappointing year despite scoring a career-high 19 goals; however, 12 of those came in the 2016 portion of the season. He’s a strong forward with size and skill but seems stuck at the 40-point plateau. That’s not necessarily a bad thing since it shows consistency; plus, he’s on a long-term deal with a reasonable cap hit. Perhaps most importantly, though, is that he is a proven playoff performer. He has 33 points in 47 career postseason games, scoring two points in four games in 2014, 18 in 26 in 2015 and 13 in 17 in 2016. It’s hard to argue with that level of production, especially when it comes when the games mean the most. But exposing him could get his $4.45 million cap hit off the books, which would leave more room to re-sign Palat, Johnson and Drouin, as well as Kucherov, Namestnikov and Brayden Point down the road. Namestnikov is the least valuable of the six forwards that do not have no-movement clauses. He failed to take the next step last season despite golden opportunities with all the injuries throughout the lineup. But he carries just a $1.94 million cap hit for one more year, which makes him more than affordable. In the end, it will come down to whether Tampa wants to get rid of Killorn’s contract or whether it wants to protect the better forward. The team believes in Alex Killorn; otherwise, Yzerman would not have offered that contract. For that reason, Killorn could earn the final protection slot. Brayden Point had a spectacular rookie season, scoring 18 goals and 40 points in just 68 contests; he can fill in for Namestnikov if he gets selected in the draft, but Tampa is hoping one of its veteran defenseman will be the one to go. Franchise defenseman Victor Hedman has a no-movement clause and therefore must be protected. That’s no surprise, however, as he’s an elite defenseman in this league and seems to get better every year. He scored career-highs in goals (16), assists (56), points (72), power-play goals (4), power-play points (33) and game-winning goals (5). Needless to say, he’d be protected under any circumstances. Anton Stralman also is a lock to be protected. He has been a stable two-way defender ever since the Lightning signed him in July of 2014. As a whole, the team’s bottom four played pretty poorly throughout the year. Jason Garrison and Braydon Coburn both will be exposed; getting either contract off the books would help Yzerman manage his growing cap problems. Restricted free-agent Andrej Sustr did not have a strong year. As a result, the decision likely will come down to Slater Koekkoek and Jake Dotchin, both of whom are RFA’s. Dotchin came in as a late call-up and played very well with Hedman on the top pairing, stabilizing the defense and making a difference. His positioning is sound and he brings a mean streak, which is something Tampa needs. Koekkoek, a stronger skater than Dotchin, only played 29 games but was a force as well. Koekkoek is a former first-round pick and has been developed slowly and carefully by the Tampa Bay organization. Though he has been hampered by injuries throughout his career, he is a valued asset to this organization and therefore earns the final slot. Tampa also will want to re-sign Matt Taormina, who is an unrestricted free agent; he was the recipient of the Eddie Shore Award as the AHL’s most outstanding defenseman of the 2016-2017 season. Andrei Vasilevskiy will be protected. Now that Ben Bishop has officially moved on, the team is in Vasilevskiy’s hands. He had a disappointing season even after signing a three-year, $10.5 million extension last offseason, which indicated he’d be the goalie of the future over Bishop. However, it wasn’t until Bishop was traded to the Kings at the deadline, when Vasilevskiy was the official no. 1 goalie in Tampa, that he stepped up. He finished the season strong, going 12-4-2 with a .930 save percentage as the Lightning made a valiant push but fell just short of a playoff berth. The Toronto Maple Leafs are sitting pretty heading into the expansion draft. Eight players that made a difference for this team last year are exempt from the draft and therefore aren’t going anywhere. 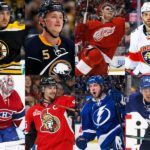 This list includes the “Big 3” of Auston Matthews, William Nylander and Mitch Marner. Other star players that won’t need to be protected include defenseman Nikita Zaitsev and forwards Zach Hyman, Kasperi Kapanen, Nikita Soshnikov and Frederik Gauthier. That doesn’t mean the team won’t lose a talented young player, however. The combination of Brendan Shanahan, Lou Lamoriello, Mike Babcock and Kyle Dubas will do whatever it takes to minimize the effects of the draft. But don’t put it past them to get Vegas to take someone off their plate rather than steal a young prospect. Five forwards that definitely will be protected are Nazem Kadri, James van Riemsdyk, Tyler Bozak, Leo Komarov and Connor Brown. While some fans would like to see Bozak and/or Komarov exposed because of their cap hits for this season, that’s not going to happen. Toronto could consider moving one to a team like Arizona in order to stockpile draft picks for the future, but they’re both important players for this team and likely will stay in Toronto for at least one more season. After those five, there are a few options. 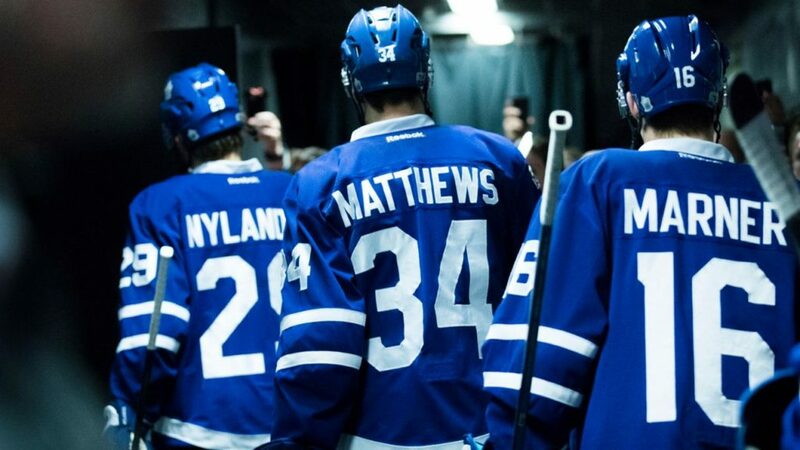 The main players up for consideration are Matt Martin, Josh Leivo, Seth Griffith, Kerby Rychel and Brendan Leipsic. Martin didn’t have a great year but is a solid fourth-line player with grit and skill, and he signed a four-year deal last offseason to play for Toronto long-term. However, it’s unlikely Vegas would consider him and his $2.5 million cap hit; he’ll be exposed. From there, the options are four young forwards, all of whom are restricted free agents: Leivo, Rychel, Griffith and Leipsic. Leivo is the best option of the four. He played extremely well in his time with the big club last year, scoring two goals and 10 points in 13 games. He has played in parts of four seasons with the Leafs, scoring a total of 18 points in 41 contests, and he has a combined total of 74 points in 110 games over the past two seasons with the Marlies. He deserves the sixth protection slot. That leaves just one slot for the other three forwards. Griffith has had an interesting couple of years to say the least. He signed a contract with Boston in May 2016 before being waived three days before the start of the 2016-2017 season and getting claimed by the Toronto Maple Leafs. He then spent a month as a Leaf, playing in only three games with the big club, before being waived once again; he was claimed by the Florida Panthers on Nov. 12. He was waived once again and picked up (once again) by Toronto on Jan. 20. Griffith is a talented prospect, though. He amassed an impressive 158 points in 165 AHL games across three seasons with the Providence Bruins (Boston’s AHL affiliate). That being said, if Toronto was able to stomach exposing him in the past, it’s unlikely the club will lose sleep over exposing him this June. That narrows things down to Rychel and Leipsic. Rychel was acquired from Columbus in a lopsided deal (in Toronto’s favor) after spending parts of two seasons with the Blue Jackets. He split the 2015-2016 season with the Jackets and the team’s AHL affiliate, helping the Lake Erie Monsters win the Calder Cup. Rychel, who has 12 points in 37 career NHL games, is a former first-round pick and is the son of former Leaf Warren Rychel. Leipsic, originally a third-round selection of the Nashville Predators, has three points in six career NHL contests (2015-2016). He posted excellent numbers in the AHL in 2014-2015, splitting the season between Nashville’s AHL affiliate and the Marlies. In fact, he posted 35 points in 47 games with the Milwaukee Admirals and 19 points in 27 games with the Marlies for a combined 54 points in 74 contests. He followed up that performance with 54 points in 65 games in 2015-2016 with the Marlies. Technically, the decision could go either way. But given the fact that Leipsic has put up such strong numbers in the AHL and was strong in his brief stint in the NHL, he earns the final slot. Both Morgan Rielly and Jake Gardiner definitely will be protected in the expansion draft; there is zero doubt about that. The only question concerning defensemen for the Maple Leafs comes down to which of three restricted free agents will earn the final slot. The options are Alexey Marchenko, Martin Marincin and Connor Carrick. Marchenko, a player Babcock knows well from his days in Detroit, was claimed off waivers in February. He’s not an overly talented defenseman but played for Babcock in Detroit and also played with Nikita Zaitsev at the World Championships last year. However, he did not draw into the lineup for the team’s first-round series against the Capitals and is well behind the other two on the depth chart moving forward. He won’t earn the third protection slot. Marincin was dealt by Edmonton at the 2015 NHL Entry Draft in exchange for forward Brad Ross and a fourth-round pick (another favorable move for the Leafs). He’s a big defenseman with a great wingspan, mobility, good penalty-kill skills and strong analytics. But he did not play particularly well in the playoffs against Washington. The same can be said of Carrick, though. His ice time practically disappeared in the final two games of the series. He has the advantage of being a right-handed defenseman, though, and he played well with Gardiner during the regular season. In the end, he has the edge over Marincin. There’s no debate in the crease: Frederik Andersen will be protected and is the Leafs’ no. 1 for the foreseeable future. 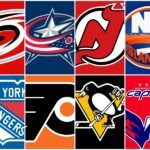 Also check out HFL’s 2017 Offseason NHL Free Agent Signings Tracker, 2017 Offseason NHL Trade Tracker and 2017 Offseason NHL Buyout Tracker.